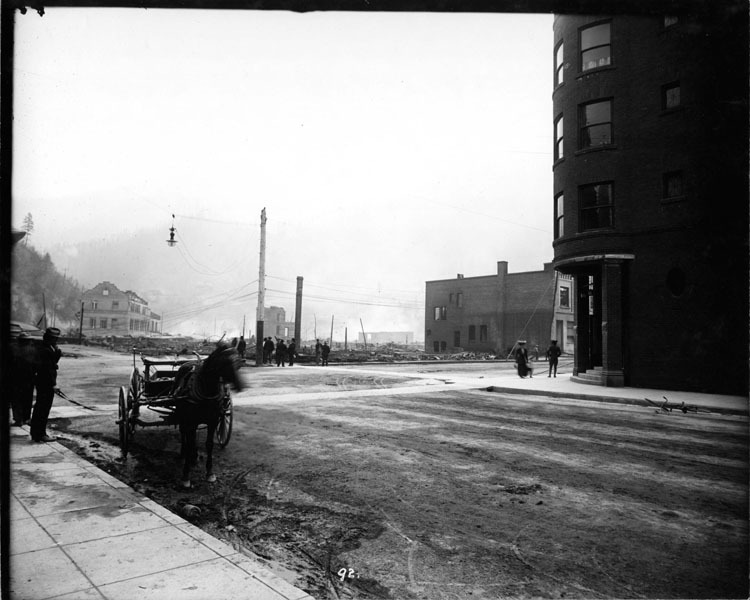 Samuels Hotel to the right and across the street from Wallace's burned district. Courtesy of University of Idaho Library. Special Collections & Archives (8-X92).